They say any press is good press in Hollywood. In some cases that might be true, but in the respected business world a bad review can set a business back and do damage to the bottom line. Local businesses depend heavily on word of mouth, column reviews, Yelp reviews and other types of positive press to grow their business. But what happens when someone posts a negative review? An average customer who has a positive or pleasant experience is less likely to leave a review without being prompted. However, if a customer perceives a negative experience, they are highly likely to express their opinion without any prompting. Thanks to the explosion of social media, these negative opinions can spread like wildfire and be very difficult to overcome. 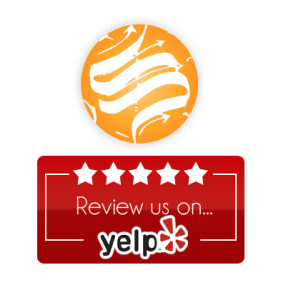 As a local business in North Canton, it’s critical that you make a dedicated effort to build a library of online reviews that enhances your business’s credibility and showcases both the positive experiences and your positive responses to negative experiences alike. Here is a compilation of Sanctuary’s top advice for developing healthy online reviews. Wreck-it-Ralph said, “I am bad, and that is good, I will never be good and that’s not bad, there’s no one I’d rather be than me.” You can think of a bad review in the same way. Bad reviews can often shed light on deeper issues and if treated the proper way can build strong relationships between a business and its customers. His first rule of thumb is simple, Don’t Fear Reviews. It may sound backward, but dealing with negative reviews is the first step in getting positive reviews. It’s a reflection of your business model, which dictates how your business operates. “A perfect business isn’t one with perfect reviews; it’s one that deals with their reviews and feedback perfectly.” – Mike Ramsey. Part of combatting negative reviews is having plenty of believable positive reviews from happy customers. , And that’s why offsite reviews are important. It’s a great practice to have onsite reviews and testimonies from real people. Nothing helps to sell your business better than the words of a happy customer. BUT we all know that onsite testimonials have been cherry-picked. We’ve even seen some that are completely false and made-up. As a society, we’ve become very cynical and untrusting of these reviews. A sad state to be in, but nonetheless it’s where we are. Getting positive reviews in Google is important. They will show in the search results, and the more you have the better positioned you will be to outshine the competition. We’re talking more than just reviews from other sites showing up in a Google search; we’re talking about Google+ and those coveted gold stars! Google doesn’t make this incredibly easy for users to do, but that is the point. They don’t want countless, mindless reviews flooding the market – and neither do you. Reviews are always a matter of quality over quantity. The number one way to do it is to ask for it. A follow-up email after purchase, a link in a Thank-You page or a card you hand out with steps to follow are all good ways to achieve this. Remember, people are slow to post a review unless they’ve had a bad experience, so you have to ask for them. Amazon figured this out a long time ago and if you’ve ever bought something from them, you’ve received a follow-up email 5-7 days later asking for a review. It’s good practice. However, asking and paying for reviews are two different things. Do NOT pay for reviews. It’s not worth it, and if you are a small business you could get into troubled waters that are hard to get out of. And it should go without saying that paying for reviews is simply an unethical practice. There is a lot to know about encouraging good reviews on Google+. Allow Sanctuary Digital Marketing Group to manage the gathering and promotion of your positive reviews. Contact us today for a no-cost, upfront marketing consultation. We can take a look at your whole internet presence and tell you what’s working and what’s not. Call 330.266.1188 and tell us a bit about your North Canton business. Let’s chat about your marketing needs and how Sanctuary can facilitate your online marketing presence.